I am not a huge rum fan mostly because I thought it only lends itself to sugary mixed drinks that I tend to shy away from, but I was wrong on this one. Enter Havana Club Añejo Clásico; this dark rum has been aged and blended in such a way that it makes for the perfect base of true cocktails, not just Rum and Cokes. Havana Club Añejo Clásico is aged outdoors under the Puerto Rican sun for up to three years in oak barrels picking up smoke, almond, and vanilla notes usually reserved for the best whiskys, leaving an incredibly complex rum that is still quite accessible. 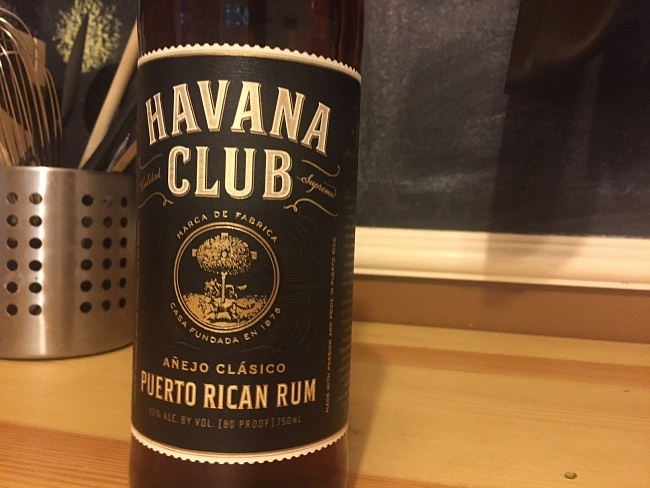 Due to its complexity and and barreling heritage Havana Club rum can be enjoyed either on the rocks or as the centerpiece of a refreshing summer cocktail. 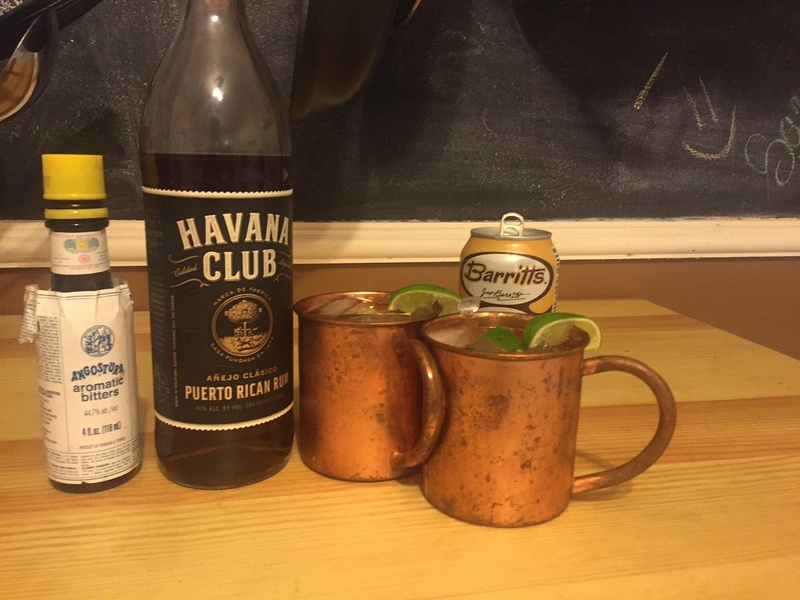 I decided to use Havana Club Añejo Clásico as the base of a Rum Mule, a modification of my standard go to; the Moscow Mule. 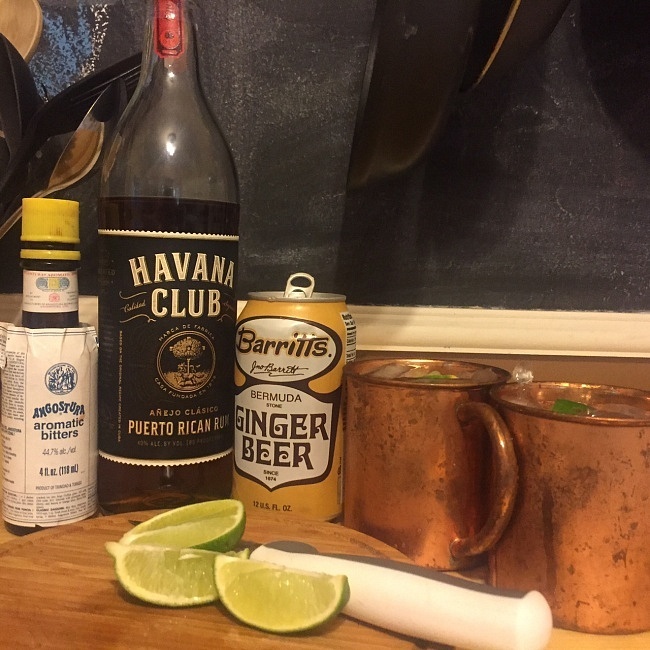 I poured one part Havana Club club over an ice filled pure copper cup, squeezed a couple of wedges worth of fresh lime juice, added two parts chilled Barritts Ginger Beer, a dash of bitters, and stirred gently as to agitate and mix the ingredients but not cause the Ginger Beer to foam. This Rum Mule with Havana Club as a base is something of sheer excellence; the rum is velvety smooth with hints of pineapple and apricot balancing well with the fresh lime juice and the added depth of the angostura bitters. 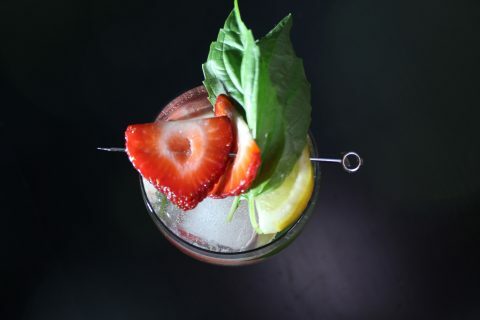 The bite of the ginger beer compliments the rich smoothness of the rum making and extremely refreshing drink that is smooth yet has a deep complexity. The cocktail finishes clean but with the added dimension of oak and vanilla notes due to the barrel aging of the rum. The Rum Mule with Havana Club Añejo Clásic at its base hosts a variety of contrasting flavors that meld perfectly to make an amazingly refreshing and drinkable quintessential summer cocktail. Havana Club Añejo Clásico is a superb aged rum that is 40% abv and costs only about $22 per bottle. 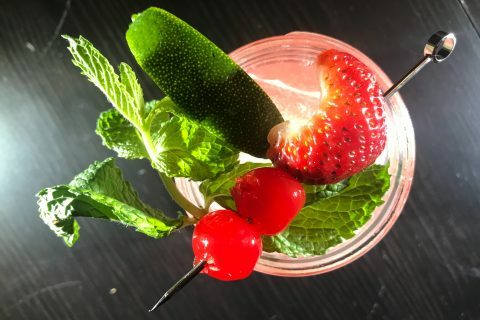 This is the perfect dark rum to keep in your liquor cabinet this summer in order to create a bevy of sun inspired refreshing summer cocktails.